12.5 mm air gap between case and liner keep case temperature low. 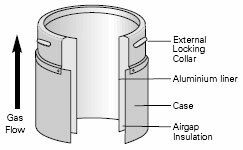 When joint is made, the liner covers the jointing collar, shielding it and permitting easy drain-down of any moisture in the flue. B Vent is available in 100, 125 and 150mm internal diameters. the flue size must be as recommended by the appliance manufacturer and must not be reduced, and never smaller than the appliance spigot. 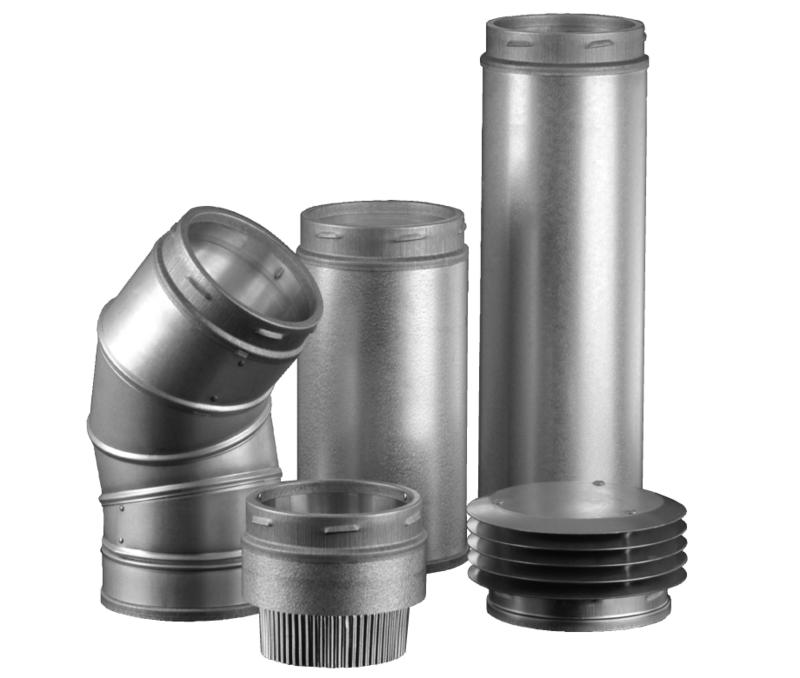 This information is provided as a guide only, and for exact flue sizing recommendations, refer to appliance manufacturer’s installation instructions and design guide. * When the fire has been tested and relaxed to 125° the appliance manufacturer should be consulted. Twin wall gas heating system designed for cost-effective venting of residential and small commercial atmospheric gas appliances with input up to 60kw. It is suitable for both internal and external use, either as a complete system or in combination with masonry, i.e. brick chimneys.